Mary Savoie is the Executive Director of The Options Industry Council (OIC) and First Vice President, Industry Services, for OCC (Options Clearing Corporation). OIC is the leading provider of unbiased education to promote the responsible use of exchange-listed equity options. Ms. Savoie heads OIC's education programs and marketing activities. 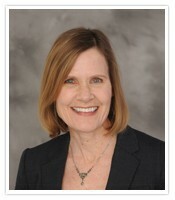 She also oversees Investor Services and the annual Options Industry Conference. Ms. Savoie previously served in several roles at OCC, including Vice President, Corporate Communications; Director, New Products; Manager, Member Services; and staff positions in Project Management and Business Development. Ms. Savoie also serves as a trustee for the Securities Industry Institute's Wharton Program. She is a former board member of Women in Listed Derivatives and currently chairs their Membership Committee. Ms. Savoie graduated with an MBA in finance and marketing from Northwestern University, Kellogg Graduate School of Management, and has a BA in economics from Stanford University. She completed the Securities Industry Association's Securities Industry Institute at the Wharton School of the University of Pennsylvania.